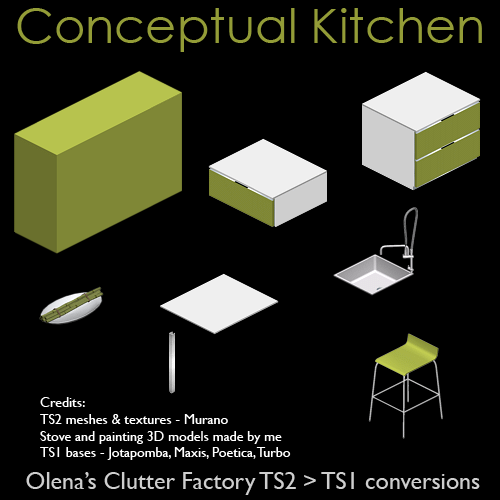 Olena's Clutter Factory: My first kitchen conversion! Happy and proud to introduce my first ever accomplished kitchen conversion. 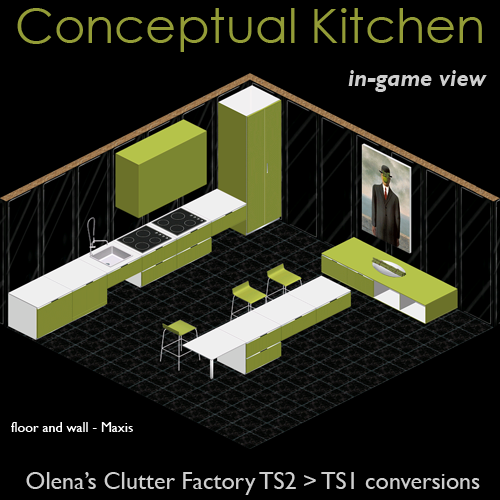 I tried to make a kitchen many times, but all my attempts had no success so far. 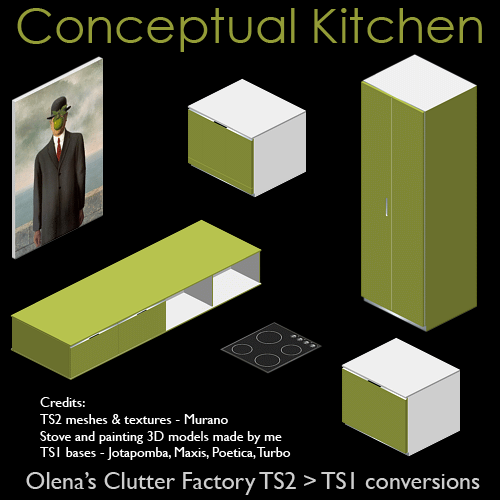 With this one I'm pretty satisfied, though it's not a pure perfection and I hope you'll forgive for the first time, that counters are not seamless and don't make corners (they are still tricky for me). Awesome. I love your clutters. This kitchen looks very neat.